Inspired by our Skechers GOwalk 3 platform, the Skechers GO STEP Lite - Agile shoe combines innovation and style in a modern athletic look. Features 5GEN™ midsole, Goga Max® Technology and Goga Pillars® in outsole. 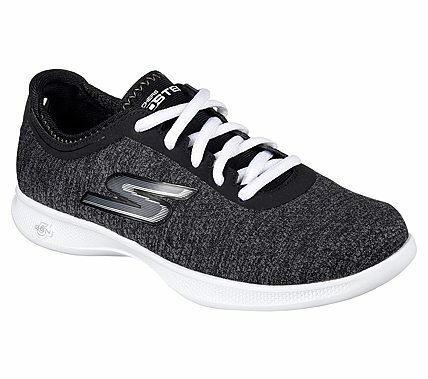 Mesh and synthetic upper in a lace up walking casual sneaker design.